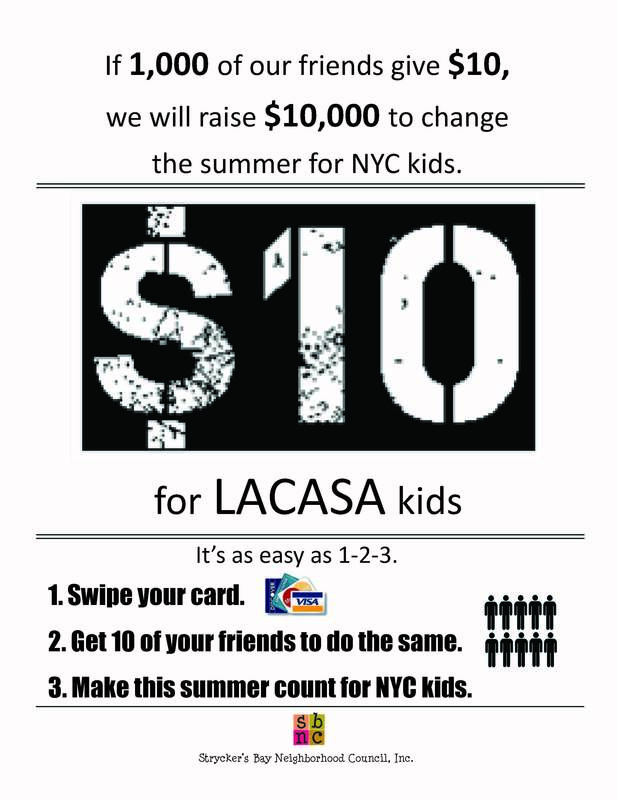 JOIN our $10 for LACASA Kids Campaign TODAY! We just kicked off our 10 week campaign to raise $10,000 to change the summer for NYC kids. JOIN US and help us reach our fundraising goal. Click HERE to donate! ← Getting Ready for Our End-of-Year Theater Production on June 14, 2012!